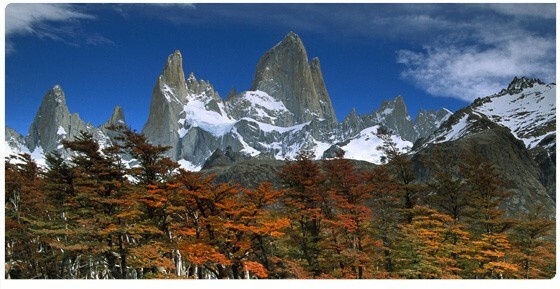 Come trekking in Patagonia's FitzRoy region and visit the famous Los Glaciares National Park deep within Patagonia, Argentina. Independent Trekking from El Chalten the gateway of trekking at Fitzroy. 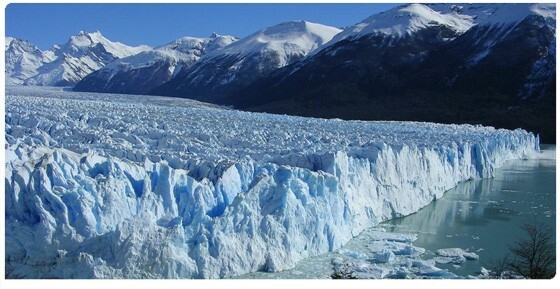 Two days of Trekking split with a day of ice trekking on Glacier Viedma. The trails are well marked. After a little research this is a park you can explore on your own. Guided excursions are also available in town. An Ice trek on glacier Viedma is a must. Private transfer to your selected lodging in El Chalten. You can do a full day hike along Cerro Torre Trail to Laguna Torre, an extremely pretty mountain lake with majestic Mount Torre in the background. After breakfast, walk eastward, following the trail through beech forests and bogs to a pleasant encounter with Fitzroy River. You can continue advancing and reach Camp Base de Agostini and then do a short hike to Laguna Torre, escorted in the west by Cerro Torre and the Adela range. Icebergs can be seen peacefully floating on Laguna Torre as the wind pushes them to the coast. Later, we return to Chalten following the same trail. Upon returning from the trek, the evening is free for you to enjoy a delicious dinner at one of Chalten restaurants. This morning we will trek to Loma del Pliegue Tumbado and we will have covered the best spots of the Park. 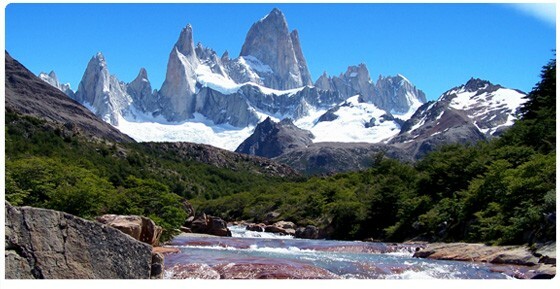 After some hours of challenging trek we will reach the western bank of the Massif with superb views of Cerro Torre and the picks around Mount Fitzroy. We come back to Chalten in the afternoon to sadly prepare our luggage and start our way back to Calafate. We are transferred to the terminal and board the regular bus back to Calafate, following the same road filled with Argentinean pampas that welcomed us some days ago. We will arrive in Calafate late at night with little time to have dinner. Nevertheless we will probably be exhausted after today's adventure and will go straight to bed! Day 6 Wednesday: Public transfer back to Calafate /Fly to Bariloche for Adventures in Futaleufu/ Transfer to Torres/ or fly to Buenos Aires for you return home. Gilda can make your reserves and Transfers.